“”If homeopathy is real, then dumping Osama bin Laden’s corpse in the ocean has just cured the world of terrorism. Homeopathy is a type of alternative medicine invented in the late 18th century by German physician Samuel Hahnemann. It is based on two ideas: "let like cure like" (similia similibus curentur), meaning a substance which causes disease symptoms can also cure those same symptoms; and that dilution with a large quantity of water increases potency. Both ideas are not only the opposite of what medical science usually observes, but the opposite of common sense too. Homeopathy is fundamentally different from herbal medicine, with which it is often confused. While some "homeopathic" medicines are simply herbal supplements labeled as homeopathic, often to take advantage of regulatory loopholes, true homeopathic remedies are so greatly diluted they contain no active ingredients. The only measurable ingredients are the putative "inactive" ingredients, such as water, alcohol, or sugar. Those homeopathic pills for sale at your local pharmacy? They're sugar pills, prepared by taking a sugar pill, letting a drop of the homeopathic preparation fall on it, and then letting it evaporate away. What you're left with is the original sugar pill you've likely spent considerable money to obtain; and yet, this fraud is perfectly legal. Samuel Hahnemann, founder of homeopathy, purveyor of what eventually turned out to be completely wrong. “”Some of you will probably be more or less troubled by that parody of medieval theology which finds its dogma in the doctrine of homeopathy, its miracle of transubstantiation in the mystery of its dilutions, its church in the people who have mistaken their century, and its priests in those who have mistaken their calling. The term "homeopathy" was coined by a German physician named Christian Friedrich Samuel Hahnemann in the 1700s. He based his ideas on the "Principle of Similars," the concept "like cures like." His reasoning was simple: if, in large doses, a substance creates symptoms, then in a lower concentration it will remove those symptoms. Hahnemann's homeopathic theory held that the more diluted a solution of such a substance is, the more effective it is at removing the symptoms it would otherwise cause. Since many of the original homeopathic compounds were based on potent toxins, this is fortunate. "Like cures like" has no scientific basis and should not be confused with concepts of modern immunology. For instance, vaccination causes production of antibodies against the specific infectious agent, which is introduced in a less potent or disabled form and in a measurable concentration. Vaccines require an enormous amount of testing to prove efficacy and, most importantly, safety. They involve relatively large numbers of molecules or infectious agents and have a proven mechanism of action – namely, a small exposure generates a clone of memory lymphocytes which will be available to fight a real infection later. The mechanics of how vaccines work is well understood, observable, and scientifically testable. No similar evidence or even plausible hypothesis exists for "like cures like." Homeopathy predates germ theory; contemporary Western medicine was still wedded to the idea that disease was caused by an imbalance of humors. Hahnemann's patients fared better than those of his contemporaries because the pre-scientific treatments of the era frequently did nothing to treat diseases, and were often more dangerous than the diseases they were meant to treat. Often "remedies" included arsenic, mercury or other dangerous substances in non-negligible amounts. Thus, inert homeopathic "remedies" reduced patients' risks to those of the disease itself. By 1880, there were 12 homeopathic colleges in the United States (vs. 72 regular medical colleges). By 1900, there were 22 homeopathic colleges (vs. 121 regular medical colleges). 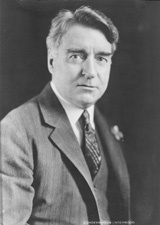 However, by 1931 there were only two homeopathic colleges left: the New York Homeopathic Medical College and Flower Hospital of New York, and the Hahnemann Medical College and Hospital in Philadelphia. This decline of homeopathy was largely attributable to the great increase in efficacy of modern medicine during the 20th century. Orders of magnitude: the area of the largest square in this diagram is only 5 orders greater than a single pixel. A square 106 times larger would be just under the size of the average computer screen. By 1015 it would be 1 square kilometre, and by 1020 it would be the surface area of the Earth. 1028 would be a disc the area of the Earth's orbit. So imagine that one pixel on an image the size of the Milky Way galaxy and you're close to homeopathic dilution. “”Homeopathy claims that water can cure you, because it once held medicine. That's like saying you can eat off an empty plate because it once held food. Homeopaths prepare their remedies using a ritualized technique of stepwise dilution and shaking, called potentization. First the "active" ingredient is selected, such as belladonna (Atropa belladonna) or a similar toxic herb, gonorrheal discharge (yes, you read correctly), and more recently, water. The ingredient is then repeatedly diluted, most often in the ratio of one part ingredient to a hundred parts solvent. The most common solvent is a mix of 40% alcohol and 60% water which is claimed to act as a "preservative", though as the prepared mixtures don't contain anything, there is really nothing to preserve. Thus, liquid homeopathic remedies are most commonly about 80-proof grain alcohol, which puts them roughly equivalent to vodka. The light-headedness is not the homeopathic medicine working; it's the alcohol kicking in. Each step in the dilution process is the equivalent of putting about half a teaspoon in something the size of a soda can, although in practice homeopaths will use something smaller so as not to waste too much of their stuff. The container is then shaken or whacked against a piece of wood 10 times, a procedure homeopaths call succussion. The finer points of the ritual don't particularly matter. What matters is that potentization isn't just simple, straightforward dilution but contains the "magical step" of succussion which supposedly distinguishes homeopathic remedies from water. Homeopaths hate it when scientists and other rational people refer to potentization simply as "dilution", so naturally we will continue to call it that. Note: The following will require a decent grasp of mathematics and how to use powers and orders of magnitude. If you're not comfortable with such things, you can skip down to the subsection Conflict with Hahnemann. Homeopaths consider the succussion step important as it is supposedly the "kinetic energy input" which increases potency. This makes little sense, as the procedure is extremely variable depending on who is doing it, the size, shape and composition of the container, the object it is struck against, and so on. "Precisely 10 hits" is a strange metric for kinetic energy – you could have the equivalent energy of 5 or 12 or 20 hits just by doing it differently than someone else. The level of energy associated with this sort of shaking or hitting is very low and will not affect the solution at all. At most it will dissolve molecules present in the atmosphere into the solution, but unless the preparation is made using water which has been specifically purged of these gases, the difference will be marginal. In any event, the dissolved gases will return to equilibrium with the overlying air within a few minutes. Given the "magic whacking bit" of succussion doesn't have a mechanism to affect the solution, there remains only one obvious reason for the process: a homeopathic escape hatch. It lets homeopaths pick holes in scientific studies of homeopathy so they can reject any negative conclusions. Was it done exactly 10 times? Was it done at the right angle? Was it in the right shaped jar? Was the guy standing on one leg? Was it done in the mountain air of the Alps while a chorus of naked monks played "Good Vibrations" on the bongos? If not, then the test is flawed and magic homeopathy still works – although homeopaths are rarely this picky when it comes to positive results. Originally this process was done by hand but, particularly in mass-produced homeopathic "remedies", now it is done by machines. While use of machines makes the "kinetic input" more consistent, it doesn't lend any credibility to the idea the supposed special magic shaking of succussion differs from, well, any other kind of shaking. The ritual of potentization is repeated a particular number of times to create the illusion of actually doing something the desired level of dilution. Most homeopathic solutions call for this to be done between 30 and 1000 times, with the resulting homeopathic "strength" referred to as 30C to 1000C respectively ("C" refers to a dilution of 1/100). This quickly builds up the orders of magnitude and the size of numbers required to think about each level of dilution. After the first phase the dilution is 1 part in 100 (in scientific notation, 1 part in 102). After the second it is 1 in 100 × 100 (104). After the third it is 1 in 100 × 100 × 100 (106 or 1 million) and so on, with the exponent increasing by two with each step. Thus, at the end of a 30C potentization the solution is 1 part active ingredient in 1060 – a long way from the one part per million which homeopaths claim, but of course the magic of homeopathy allows it to transcend basic arithmetic. Thus, this dilution is actually one part per novemdecillion. That's a one followed by 60 zeros. More diluted solutions are alleged to be stronger, in stark opposition to everything known about the real world. Powerful stuff indeed. This is very dilute, and as we shall see, it has interesting consequences for these remedies when prepared in the real world. A 1000C solution's ratio is astronomically larger than even the number above (1:102000). Utter insanity: a bottle of BX Protocol, professing a 1000000X dilution. A finite quantity of a given solute cannot be infinitely divided. This is because the atoms or molecules comprising the solute cannot be infinitely divided, at least, if you accept modern science. You can change the solute into something else through chemical reactions, or change the atoms themselves through nuclear reactions, but neither are involved in the potentization ritual. Once we dilute to the last few molecules of solute, further dilution gives a decreasing likelihood that the resulting solution will contain even one molecule of the solute. We can think of "1 part product to X parts water" as "1 molecule of product to X molecules of water." We can figure out the number of molecules using Avogadro's number (6.02 × 1023), which is the number of molecules contained in a mass in grams of the substance equal to its molecular mass. Since water has a molecular mass of 18,[note 2] this means there are 6.02 × 1023 molecules of water in 18 grams of water. Likewise there are 6.02 × 1023 molecules in 2 grams of hydrogen (H2), 4 grams of helium, and so on. Chemists call this amount of any given substance a mole. “”It’s a miracle! Take physics and bin it! A little arithmetic tells us that even the lowest commonly used homeopathic dilutions do not contain any of the active ingredient. Let's begin with 100 ml of water, to which we add 1 ml of an active ingredient. We shall call it something nice and homeopathy-sounding, like "Mandrake's Leaf." For the sake of argument we'll assume this is about 1 gram, which would make a 1% weight/volume mixture. We'll also assume the main chemical in Mandrake's Leaf has a molecular weight similar to a largish organic compound, say 300 grams per mole. Therefore the 100 ml bottle has 1/300 of a mole of Mandrake's Leaf and the corresponding number of molecules is 1/300 of Avogadro's number, or about 2 x 1021. After the first dilution with a ratio of 1 to 100 we will have lost 99% of our fictitious magical herb, leaving 2 x 1019 molecules in the solution. A second dilution of 1 into 100 leaves us with 2 x 1017 molecules, a third with 2 x 1015 molecules, and so on. In short, we decrease the exponent by two for each dilution. This leads to an interesting consequence between the 10th and 11th dilution step – the number of molecules present in the entire solution drops from 20 to 0.2. But there's no such thing as 0.2 molecules. So even at these homeopathically "weak" dilutions our 100 ml container has, to use the technical terms, zilch, zippo, nada Mandrake's Leaf left in it. Hahnemann didn't know this because Dalton, Avogadro, and others had not yet laid the foundations of atomic theory. Modern homeopaths don't have this excuse – and as discussed below, don't deny it and even embrace it. Calculating the container size necessary for a homeopathic solution to contain just one molecule of active ingredient can be an entertaining and illustrative exercise, and the basic outline is shown in the table below. A 30C dilution is the equivalent of having one molecule present in a sphere of water with a diameter just short of the distance between the Earth and the Sun – and higher dilutions become even more difficult to conceptualize. The number of atoms in the observable universe is estimated at approximately 1 × 1080, and the orders of magnitude associated with the most dilute (the supposedly "strongest") homeopathic solutions – when the potentization process is carried out hundreds of times – are much greater than even this massive figure. 24X 12C 10−24 Has a 60% probability of containing one molecule of original material if one mole of the original substance was used. 400X 200C 10−400 Dilution of popular homeopathic flu remedy Oscillococcinum; would need to consume a mass well over 10320 times that of the observable universe to get a single molecule of the original substance. Note: the "X scale" is also called "D scale." 1X = 1D, 2X = 2D, etc. Cleared for export from Australia as there is no conflict with CITES, there being no trace of the "active ingredients." ISO 3696 is a standard for laboratory water. The purest grade of water under ISO 3696 is 10 parts per billion impurity – 10 x 10-9. That is equivalent to a homeopathic dilution of 4C. So every remedy beyond 4C prepared with water of this purity would be entirely random. Actually, homeopaths do not use water of that purity; it can't be stored in glass vessels due to leaching of surface impurities and those using it have to wash their glassware in hydrofluoric acid before use, which dissolves the partially oxidized top layer of glass. Homeopaths usually use double distilled water, which is substantially less pure. Every cubic meter of air contains thousands of bacterial and mold spores, viruses, and dust particles. When homeopathic dilutions are not prepared in industrial cleanrooms such as those used in the semiconductor industry, these contaminants inevitably end up in the production process, and are thus 'potentized' along with anything else present in the dilution. Yet this appears to have no effect at all on the end product. A humorous look at the principle of homeopathic dilution. Hahnemann's original theory held – no matter how greatly the active ingredient was diluted, it was still present in some amount. Avogadro's work, which was developed after Hahnemann's invention of homeopathy, showed this claim was false and that – even in some of the lowest dilutions offered – the active ingredient is not present in the final remedy. The recent 10:23 campaign was designed to highlight this aspect – and particularly the public's misunderstanding of it – by organizing a "mass overdose" of homeopathic remedies. In a sane world the lack of any active ingredient and the disproving of Hahnemann's theory would be a serious blow to homeopathy. But modern homeopaths claim this as an advantage because a solution can't possibly be toxic, being just water with nothing dangerous in it. They're actually very open about this sort of thing but usually fail to mention this conflicts with the original theory. To get around this rather extreme problem, modern homeopaths invented the idea that water has a "memory." In this claim, the succussion procedure supposedly imparts the "memory" of the chemical placed in it (importantly, only the intended active ingredient) to the water. It is this memory which allegedly cures the patient (rarely do homeopaths attempt to explain why the application of a mere memory of a substance should be better at performing a given task than the application of the actual substance itsef). Be glad sewage processing plants don't do this by accident! If true, this "memory of water" claim would overturn all of modern chemistry as well as most of physics and molecular biology. And given the history of every drop of water we drink, probably a lot of stomachs too. A further complication in this "water memory" belief is the fact many homeopathic remedies are sold in dry pill or tablet form, so there is no longer even any water to have a memory! In short, although the solution has been diluted beyond any possibility of detection, the little magic taps which comprise the "succussion" procedure change all known laws of physics and turn the substance into a "medicine." It's obvious, really. The "Principle of Similars", although it can trace its roots back to ancient Greece, is completely made up with no supporting evidence. Basically, Hahnemann just decided that this was the case. It may, however, have been inspired by the observation that a particular malaria cure induced malaria-like symptoms in healthy patients, and other treatments sometimes exhibit this quirk of causing symptoms while curing or providing immunity. Radiation therapy is used to treat cancer caused by radiation (although melanoma, which is commonly caused by radiation, is resistant to radiation treatment) and antivenin is derived from venom, although it should be noted that antivenin is not simply venom; it contains the antibodies produced by the immune response (of other animals) to such venom. Similarly, the original smallpox vaccine involved infecting someone with the related disease cowpox. Cowpox, in humans, produces symptoms similar to, but not nearly as deadly as, smallpox. Despite these very specific and quite interesting observations, there is no theoretical reason or supporting evidence to conclude that this can be expanded to a general rule like the "Principle of Similars." In addition, in all of these examples, the treatments have been subject to rigorous scientific study to determine their safety and effectiveness. Oncologists don't just throw cancer patients into a nuclear reactor and hope for the best. Given the level of dilution of homeopathic solutions, there is no plausible scientific explanation for their effectiveness beyond the placebo effect. The idea of "water memory" has been proposed by practitioners, but they barely ever attempt to explain what it actually is, let alone demonstrate it. Since they also fail to offer an explanation as to why continually removing more and more of the active ingredient should help the water remember it better (or even as to why ingesting water that remembers a given substance should be a more effective cure than ingesting the actual substance itself), they have instead opted to misinterpret scientific papers which study water at the molecular level. In this research, water dimers and clusters joined by hydrogen bonds have been observed, but only under certain conditions, and they certainly don't convey the complexity required to form a "cure" of any kind. When present, active ingredients certainly do cause water to form solvent shells around the molecules; this property of water is fundamental to understanding chemical reactions in water. But no ability for the water to "remember" what was placed in it has been observed or is considered to be possible. Certainly the known intermolecular forces between molecules of water (van der Waals forces and particularly electrostatic hydrogen bonding) are of such low energy that any apparent "structure" in bulk water would last for mere picoseconds. If water were to retain a memory of the chemicals it has been exposed to this would basically throw out all of thermodynamics, in itself a very respected field of physics, as it would mean we have to look back through the entire history of the universe to understand the behavior of a given sample of water. Examples of naturally occurring water clusters which are used as "evidence" of water memory. In reality, these clusters are highly fluxional and certainly not dependent on what minerals they were associated with in the past, nor are they affected by knocking the bottle against a piece of wood (succussion). These clusters represent small amounts of water in the gas phase, which hardly reflects a system of 1023 molecules. Adam Jacobs, Director of Dianthus Medical Limited, said, "The laws of chemistry and physics, as we understand them, say homoeopathy cannot possibly work any better than a placebo if a treatment has been diluted to the point where none of the original molecules remain." Furthermore, a letter in Nature shows this memory claim to be bogus science. Faced with all these problems, homeopaths do have one, very intriguing, fallback. This is a claim most alternative medicine can rely on in the face of evidence against their explanations: their "treatments" are not actually medicine. The full explanation of this is sometimes dressed up in fancy New Age terminology, often using the conveniently vague concept of "energy" that New Agers are so fond of, or something authoritative in the language of cargo cult science, but this essentially comes down to the idea that "homeopathy promotes the body's natural response, helping the body make itself better," an interesting explanation at the very least most. Given the theoretical issues discussed above, and the evidence discussed below, this does seem nothing more than an outright admission that homeopathy is just a placebo. After all, a placebo is not a medicine – great pains are taken when using a placebo-control treatment during trials to make sure they are not pharmacologically active – but we still see some effect regardless, almost like magic. However, it is not magic. A placebo works in numerous and very complex ways, and although the saline injection or sugar pill doesn't directly "promote the body's natural response," the sense of well-being, the positive thinking and the patient's attitude to their life associated with receiving a treatment of some kind certainly can, and indeed does. Given the woo explanations, the charisma of alternative medicine poster-boys, the expense of treatment and the personal consultations with practitioners, homeopathy generates very high expectations for its success and thus is set up to be a very effective placebo, but a placebo nonetheless. This idea is not disputed by medical scientists; homeopathy can work better than nothing (at least in some cases) but given the wide variety of things that could potentially work better than nothing, this isn't particularly interesting or notable. All a scientist or medical doctor wants to know about homeopathy is "is it better than a similarly administered placebo?" This question will be discussed in the next section. A drunk person who just had ten beers can wash out one of the emptied mugs, fill it with water, shake it around, and the residual beer droplets will form a homeopathic solution that will sober them right up. A single raindrop would be able to reverse the effects of a flood, and one burp would be able to reverse the effects of a tornado. A college student who remembers glancing at a single page of their notes once should do better on the test than one who has the open textbook in front of them. A single flake of lead getting in a cut would be more lethal than and/or reverse the effects of having an entire M-16 magazine emptied into one's torso. Flicking a sesame seed at someone's nose would reverse the effects of George Foreman punching them in the face. Eating a single crumb of candy should cure type 2 diabetes and/or obesity and/or tooth cavities. Old homeopathic remedies in their bottles. Naturally, there is probably more of the bottle dissolved in the water than the active ingredient. “”But you see, it is not that there is no result, it is just a very diluted result. which in turn proves homeopathy to be the most valid theory in existence. Given the above, we should be very suspicious of homeopathy. The concept does seem to be impossible; a priori and even by its own admission, homeopathic medicine isn't a straightforward medical treatment. However, this does not mean we should totally discount it without investigating it. If a medical treatment works, then it doesn't matter if the theory is not well understood – and many modern medical treatments are approved with rather poor knowledge of how they work. Initially, homeopathy was very successful in apparently treating illnesses – and this fact is still trotted out quite readily today, a century or so later. In the 18th and 19th centuries, homeopathy was almost miraculous and really did have the figures to prove it. 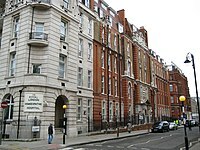 During one of the 19th century's many cholera epidemics, it was observed that the hospital practicing homeopathy in London was having a far, far lower death rate than the more conventional hospitals in the area, a staggering score against the conventional medicine of the time, indeed. This remarkable success of the practice, however, can be retroactively explained by looking at the conventional treatments of the time and what exactly was going on in the other hospitals. As medical trials always compare a new treatment to the "best available" intervention, it's best to turn the question on its head and ask not "why was homeopathy causing fewer deaths?" and ask instead "why was the conventional hospital causing more deaths?" When homeopathy was first developed, the "best available" conventional medical treatments often involved administering what are now known to be deadly poisons, bloodletting, or many other practices that were often far more dangerous than the illness they were meant to treat. Using our current knowledge of how poor those practices were, it's quite obvious that just doing nothing may well be the better medical intervention in the case of cholera – many people just get better on their own and recover, but they have much less chance of doing so if they receive a "treatment" that could kill them first. This is still occasionally the case today when the side-effects or risks of a medical intervention, such as risky surgery on or around a vital organ, outweigh the risks of leaving an illness alone. However, medical science has since moved on from opening up veins to balance the humeurs, and now we can compare homeopathy to proven and effective treatments or a simple placebo, which would be water without all the fancy succussion business as described above. With respect to this, homeopathy invariably fails as a treatment. “”I do not expect that homeopathy will ever be established as a legitimate form of treatment, but I do expect that it will continue to be popular. Despite being widely recognized as an an ineffective pseudoscience, homoeopathy has unfortunately managed to gain a level of official recognition in a number of countries. Central Council of Homoeopathy (CCH) is a statutory apex body under the Ministry of AYUSH of Government of India. Sadly, in India, homeopathy is recognised as one of the national systems of medicine. The CCH regulates education and practice of homeopathy in India. In 2014, there were 187 homeopathic colleges in India offering undergraduate and postgraduate programs. Homeopathy is taught at the undergraduate level as a 5 and 1/2 year program called Bachelor of Homoeopathic Medicine and Surgery (BHMS). At the postgraduate level, homeopathy is taught as a three year MD program. In 2012, there were 7,000 homeopathy hospital and dispensaries across India, an increase from 1,686 clinical establishments in 1980. In just two decades, registered homeopath practitioners in India have doubled. In 1980, there were 105,000 homeopaths in India. This number increased to 246,000 in 2012. The Central Council for Research in Homeopathy (CCRH), an Indian government agency, is dedicated to research in homeopathy. It has conducted many clinical trials on homeopathic medicines for over three decades. In 2012, hearing a plea filed by the World Homoeopathic Development Organization, a private homeopathy organization, the Supreme Court of India directed the central government and the CCRH to conduct clinical trial of a homoeopathic medicine intended to treat cancer patients since many in India cannot afford traditional cancer treatments. Previous clinical studies of cancer cures put forward by the World Homoeopathic Development Organisation were rejected by the CCRH and the Ministry of Family and Health Welfare's AYUSH department. In 2014, neurologist Steven Novella and Wayne State University Medical School cancer surgeon David Gorski published a research paper in the journal Trends in Molecular Medicine. In this paper they said clinical trials in homeopathy – along with reiki – "degrade the scientific basis of medicine". Gorski said, "All of these trials are a complete waste of taxpayer resources". They pointed out that in homeopathy, remedies are diluted far beyond the Avogadro’s constant. Hence no molecule remains in the remedy which could be detected. In response, Raj Kumar Manchanda, director general of CCRH, said all homeopathic medicines are not diluted beyond that limit at which molecules cannot be detected. He claimed, "In nearly 80 per cent of homeopathy formulations, the source substances are easily detected". Failure by unqualified doctors to prescribe the correct treatment for common illnesses contributes to a high complication and mortality rate among youth suffering from Pneumonia and Diarrhea in India. Public acceptance of homeopathy in India is a serious problem, with rural acceptance of the practice reaching 25% in some districts. Much of this can be attributed to lack of access to modern medical facilitates, leaving rural residents with few choices for treatment. Homeopathy in India has blended seamlessly with other forms of historical Indian folk medicine and no substantive scientific efforts have been made to demonstrate this blend's effectiveness at treatment. More than one third of Indian residents facing life-threatening conditions elect non-functional treatment such as homeopathy, which has substantial government approval and funding much to the horror of other civilized nations. However, survey data from the Indian Government in 2015, show only 5% to 7% usage of 'non-allopathic' treatments including AYUSH (Ayurveda, Yoga or Naturopathy, Unani, Siddha and homeopathy) was reported (n=333,104, rural and urban areas, covering all 29 states and 7 Union Territories of India). The 1938 Food, Drug, and Cosmetic Act established the rules for FDA regulation of drugs in the United States. Senator Royal Copeland, a practicing homeopath, wrote in a specific clause stating homeopathy was a drug and would be regulated by the FDA as such but with many exceptions. Homeopaths do not have to apply for a New Drug Application with the FDA for new solutions, nor do they have to provide any information about their efficacy or safety or, for that matter, test them at all. They do not even have to display the Quack Miranda warning that dietary supplements do. The only authority the FDA has over homeopathy is to ensuring safety in the manufacturing process (no arsenic leaking into the bottles on the production plant floor, etc.). Practicing homeopaths and companies producing these products often make misleading claims about FDA approval. When a homeopathic product claims to be FDA-approved for the treatment of a particular disease, it only means the FDA believes the product will not kill you if you take it (but see Adverse effects below), not that it has any efficacy against the disease. Thanks to such misleading tactics, so-called homeopathic medicine was a nearly $3 billion industry in the US in 2007, according to the National Health Statistics Reports. Homeopathic products are not allowed to claim they can treat things that are not "transitory" in nature (in other words, things which will usually go away on their own). Homeopathic products can only be marketed for such things as coughs, fevers, pains, etc. Any claims made about things like cancer, AIDS, asthma, STDs or other chronic or long-term illnesses violate FDA standards. Several homeopathic companies have been fined in the past for making these claims, but most do not overtly make them. Instead, products are sold for more general ailments like "liver problems" rather than hepatitis. Another way of sneaking this in is by hired salespeople making the claims in one-on-one sessions with patients, where it is usually difficult to prove such wrongdoing. One example of this is in England where homeopathic consultants were advising patients to take their products for malaria. In June 2010, the FDA sent a warning letter to Wisconsin-based "Homeopathy for Health" saying it was falsely advertising homeopathic products which claimed they could treat the H1N1 virus. The letter included nearly twenty products from six different manufacturers, all of which were claimed by the seller to directly treat viral infections following the 2009 swine flu outbreak. The manufacturers were also notified with the same letter, as the FDA notes that manufacturers may not necessarily make the same claims as online retailers. The FDA's list of fraudulent treatments for H1N1 infections has 185 entries. In early 2010, the UK's Parliamentary Science and Technology Select Committee published a report into homeopathy and whether it should be funded by the government as part of the National Health Service. They concluded that, basically, "homeopathy's rubbish and should be defunded." 9. Homeopathy is a 200-year old system of medicine which seeks to treat patients with highly diluted substances that are administered orally. Homeopathy is based on two principles: "like-cures-like" whereby a substance that causes a symptom is used in diluted form to treat the same symptom in illness and "ultra-dilution" whereby the more dilute a substance the more potent it is (this is aided by a specific method of shaking the solutions, termed “succussion”). It is claimed homeopathy works by stimulating the body’s self-healing mechanisms. 10. Homeopathic products should not be confused with herbal remedies. Some homeopathic products are derived from herbal active ingredients, but the important distinction is that homeopathic products are extremely diluted and administered according to specific principles. “”14. In June 2009 the Guardian reported that the NHS had spent £12 million on homeopathy in the period 2005–08. 16. According to the Society of Homeopaths, the NHS spends £4 million on homeopathy annually. It appears that these figures do not include maintenance and running costs of the homeopathic hospitals or the £20 million spent on refurbishing the Royal London Homeopathic Hospital between 2002 and 2005. “”47. Our expectations of the evidence base relevant to government policies on the provision of homeopathy are straightforward. We would expect the Government to have a view on the efficacy of homeopathy so as to inform its policy on the NHS funding and provision of homeopathy. Such a view should be based on the best available evidence, that is, rigorous randomised controlled trials and meta-analyses and systematic reviews of RCTs. If the effects of homeopathy can be primarily attributed to the placebo effect, we would expect the Government to have a view on the ethics of prescribing placebos. “”49. There appear to be two main concerns. The first is the principle of like-cures-like and the second is about how ultra-dilutions could retain characteristics of the active ingredient. “”70. In our view, the systematic reviews and meta-analyses conclusively demonstrate that homeopathic products perform no better than placebos. “”77. There has been enough testing of homeopathy and plenty of evidence showing that it is not efficacious. “”There has been extensive investigation of the effectiveness of homeopathy. There is no good-quality evidence that homeopathy is effective as a treatment for any health condition. “”... there are several NHS homeopathic hospitals and some GP practices also offer homeopathic treatment. Because what use has the NHS for evidence-based medicine? In 2010, Jeremy Corbyn (Leader of the Opposition) stated on Twitter that he believed homeopathy could work for some people and signed a parliamentary motion introduced by the Conservative MP David Tredinnick calling on the Government to consider the experiences of other countries such as India, which backs homeopathy treatment, when formulating health policy. “”The German Union of Catholic Physicians (UCP) offers on its website a homeopathic treatment to cure homosexuality. Called "Alternative Therapies for Homosexuality", this method is offered as the only way to "treat" or "cure" those who have homosexual inclinations. The idea, of course, being that two patently useless therapies being applied in concert would then result in anything useful whatsoever. Hyland’s Teething Tablets — oops! Sometimes – surprise, surprise – there ends up actually being an active ingredient in homeopathic medicines, e.g. due to poor manufacturing practices. When this happens there can be an adverse effect from ingesting the ingredient (that wasn't even supposed to really be present in the first place), rather than just the expected placebo effect – especially since most homeopathic remedies (relying on "hair-of-the-dog"-type reasoning) start with legitimately deadly poisons which are then supposed to end up immensely (read: absurdly) diluted. Notice also when real, non-homeopathic medicines (and processed foods, like dairy products) are manufactured, the actual manufacturing plants are equipped with layers upon layers of methods and technologies which work to actively prevent and filter out all of the numerous known and harmful pollutants, microorganisms and impurities which would otherwise end up in the final product, harming the consumer. This isn't because food processing (or industrially manufacturing medicine) is itself a "toxic" practice or anything of the likes; it's because we're immersed in a living, breathing biosphere – and in it, crap tends to get everywhere, and germs would live exactly everywhere if they only could (and in a sense, they already do). All of this science-based processing is thus required to make a product safe to ingest, and conversely, the rejection of this process invites serious risks to human health. Furthermore, in real medicine, a lot of precision work is involved in making something as simple as an OTC tablet. We can actually tell if a tablet of ibuprofen – or whatever – has been improperly manufactured or contaminated. For one, if there is either much more (overdosing) or much less (underdosing) than the intended amount of the relevant molecule present in the tablet, we know it's faulty. Secondly, if there are also other things present in the tablet – things which aren't supposed to be in there (ignoring fillers and the likes) – we know the tablet is tainted as well. That's what a tablet being tainted means. In homeopathy, you get none of this. There's usually no measurable active substance that is even being added to homeopathic pills (at least not on purpose), no exact process in place to keep anything else out, and as such… You don't actually end up with mere sugar pills. You end up with tainted – basically, dirty – sugar pills. On rare occasions, the dilution is not very great (e.g., 1X or 10%). When, as is often the case, the substance being diluted is actually dangerous, this can be a serious hazard. In the case of Zicam Cold Remedy, a homeopathic remedy, the manufacturer (Matrixx) settled 340 lawsuits for a total of $12 million (without admitting guilt) because the claimants said they lost their sense of smell or taste. This is plausible because the pre-lawsuit applicator shot the cold remedy into the top of the nose with propulsive force and because the remedy contained Zincum Gluconicum 1X, Zincum Aceticum 2X (i.e., 10% zinc gluconate and 1% zinc acetate). Zinc is used to destroy the sense of smell in laboratory animals and is known to have the same effect in humans. A 2003 article reported 3 cases of arsenic toxicity in India from homeopathic treatments at 1X (10%) dilution. A 2012 literature review found reports of 1159 people who had experienced adverse effects from homeopathic medicine. The adverse effects ranged from mild to severe, including 4 fatalities. The most common adverse effects were allergic reactions and intoxications. Rhus toxidendron (i.e., poison ivy, Toxicodendron radicans) was the most frequently implicated substance. In 2017, the FDA urged parents to cease using Hyland's homeopathic teething products because the products contained inconsistent amounts of belladonna, a poison. Two manufacturers of belladonna-based homeopathic teething products, Raritan Pharmaceuticals and Standard Homeopathic Company, voluntarily issued a recalls for the products. The FDA received more than 400 reports of adverse events from these products. In 2009, homeopath Thomas and Manju Sam were found guilty of manslaughter for the death of their 9-month old daughter from a severe eczema-related infection. In 2015, Ebed S. Delozier and Christine E. Delozier were charged with manslaughter of their 18-month-old daughter who had an ear infection. The parents treated her with homeopathy and herbs. After the infection became severe, the daughter went into cardiac arrest and was taken to a hospital, where she later died from pneumococcal Meningitis. In February 2011, the James Randi foundation recorded an accidental death in Florida due to an overdose of an otherwise safe homeopathic remedy. He forgot to take his pill. Are there any examples which show an effect of homeopathy? The answer to this question is a little complicated, but essentially, no. The only studies which show an effect are studies which do not use a double-blind control. This makes them worthless, but homeopathic practitioners claim it is the only way. Here is an interesting fact: the James Randi Education Foundation has a 1 million USD prize for anyone who can demonstrate certain “supernatural” powers (and, make no mistake, "potentization" is definitely a supernatural claim). This prize is open to any homeopath who thinks they can demonstrate an effect. A few small-time practitioners have attempted to do this, but all have failed. What is more interesting is no major “homeopathic” producer has bothered to pursue it, despite many attempts by the Foundation to get them to try. These producers would not only get the money but instant free press and fame. One should ask why they refuse to put their products to the test. Though homeopathy is pseudoscience, it is possible for certain homeopathic products to be effective. How is this possible, you ask? Well, homeopathic remedies are frequently just water, but they can also come in tablet and cream form. These tablets and creams consist of a base to which homeopathic water is added, and this base often contains actual medicinal substances, which are nevertheless listed under "nonmedicinal ingredients." A "homeopathic" cream for acne may contain tea tree oil (Melaleuca alternifolia), which is a potent antimicrobial. Homeopathic teething tablets are usually made of lactose – when a baby stops crying after taking a teething tablet, it's because you just gave them candy, not because the pill has magic water in it. The practice of adding medicinal ingredients to homeopathic remedies is similar to, though less dangerous than, that of adulterating herbal products with drugs to make them seem effective. silica is in fact released from glass in the form of silicates by succussion. This has not as yet been demonstrated in a peer-reviewed paper, and is in fact rather unlikely because glass is "a highly resilient elastic solid, which means that it is completely stable" over time. silicates are released in significant amounts and (ironically) in a dose-dependent manner, increasing with increased succussion and dilution. This is also implausible because the silicates themselves (if any) are also diluted along with the active ingredient. The proponents of this hypothesis, Anick & Ives gave as an example a 12C remedy, i.e. 12 repeated dilutions of 1% to 99% or 10−24. If we assume that each succussion causes some small amount of silicates to be released, say 1 µg, then the next dilution and succussion will have only 1.01 µg of silicates (1 + 1 × 1%). Repeating the procedure 12 times, one only gets about 1.1 µg of silicates, i.e., what is basically a nearly flat dose curve. that the biologically active silicates act differently with regard to specific ailments somehow. Any differentiation for homeopathic remedies between target ailments would have to be due to silicate interaction with the active ingredient for a given remedy. But whereas the silicates are in each dilution at a nearly constant levels, the active ingredient is rapidly diluted to nil. Any interaction from the initial dilution when the active ingredient is at the maximum level is also reduced to nil at the final dilution. It is undeniable that homeopathy works ... at least for a given value of "works," and this is via the placebo effect. This is the effect by which something that is clinically inactive can still produce positive results because of various factors, from positive thinking (i.e., mind over matter) to suppressing people's symptoms mentally and making them feel better about the situation. This is known as a complex intervention because it is rarely a straightforward thing to quantify; different people will experience different effects. In the case of homeopathy, it is most effective when homeopaths give time and attention to their patients, in contrast to overworked general practitioners who may give a quick exam and write a prescription for a course of painkillers (many of which are enhanced by some form of the placebo effect anyway). This factor gives homeopathy its apparent power to treat simple illnesses or maladies – but not "real" diseases like malaria or cancer; however, this is not the same as "efficacy." To justify the claims of homeopaths and alternative medicine advocates that there is more than just a placebo effect occurring, what needs to be tested is just the homeopathic remedy on its own without all the extra bells and whistles, sometimes referred to as "clinical homeopathy." In all respects, homeopathic remedies fail this. Although the placebo workings of homeopathic treatments aren't denied, the use of the placebo effect in treating patients is considered ethically dubious due to the deceit involved, as well as potential risks to a patient should they be suffering from an illness which cannot be remedied by placebo alone. Homeopathic remedies, being just water, cannot actively harm patients, but there are many indirect risks, some of them quite considerable, such as patients' increasing distrust in conventional evidence-based medicine, or the misdirection of funds by professional organisations which promote it. Some homeopathic remedies come in "pill" form. In this case, not even claims of "water memory" help explain how they work. "Sugar memory," perhaps? Finally, here is the most important point for “mass production” homeopathic remedies, the kinds produced in factories. Let’s ignore all of the problems with the basic foundations of homeopathy, let’s ignore all of the mountains of evidence showing zero effect of the “cures,” let's ignore the refusal of all the major proponents to be put to the test, and let’s, for the sake of argument, assume that there is something to homeopathy. Even if this is the case then mass-produced cures will not work, even by homeopathy's own standards. This is the absolute basic rule of homeopathy: proponents say you can not use double-blind tests because each and every single cure must be tailor-made to the specific person it is to be used on: each ingredient, the amount, the ratio, and the procedure is painstakingly crafted on a person-by-person basis. A way to test this claim is to switch the remedy at the very last minute without letting either the homeopath or patient know whether they are receiving a prepared remedy or tap water. This would preserve the psychology of the placebo effect – where if the doctor knows they're giving a sugar pill, this information is subconsciously indicated to the patient, who is less susceptible to the effect – resulting in a fair trial for both sides. In the best homeopathic studies, this is what has been done, and the results have come out the same for the switch-outs as for the control group. So even by the standards of proponents of homeopathy no mass-produced cure can possibly work. Accepting quack medicines and beliefs like homeopathy and ignoring basic concepts such as skepticism and the scientific method is a very dangerous thing. It encourages a culture where facts are, ultimately, relative and subsequently objective evidence is meaningless. Facts can not be abandoned because we don’t like the feeling they give us, and lies should not be swallowed because they make us feel good. Homeopaths may find criticism of their practices blunted if James Randi finally manages to overdose on homeopathic remedies. Randi commented, "I did this before a meeting of the US Congress – which if that doesn't put you to sleep, nothing will." Si vous voulez cet article en français, il peut être trouvé à Homéopathie. Se procurava Homeopatia, há um artigo na RacionalWiki em Português. Wenn Sie diesen Artikel auf Deutsch suchen, kann er auf Homöopathie gefunden werden. Homeopathy and Its Kindred Delusions, an early critique of homeopathy by Oliver Wendell Holmes, Sr. Sympathetic magic – the more general concept of "like affects like"
Homeopathy A&E - A quick look at what applying homeopathy to real medicine would look like. ↑ Homeopathy is mostly water. Plants crave water. Ergo, plants crave homeopathy. QED. ↑ A phrase Hahnemann used in his "Organon" and which continues to exist as the motto of homeopathy. ↑ Hahnemann wrote: "Although theorists may imagine there should be a weakening of the action of the dose of medicine by the aforementioned dilution with a large quantity of liquid, experience asserts exactly the opposite, at all events when the medicines are employed homoeopathically." ↑ To be fair, water, when applied fresh, is a (partial) remedy for dehydration. ↑ To be fair, alcohol is an active ingredient (and possibly the only one) in the cure remedy for "chronic cubicle syndrome." ↑ Are the clinical effects of homoeopathy placebo effects? Comparative study of placebo-controlled trials of homeopathy and allopathy by A. Shang et al. Lancet. 2005 Aug 27-Sep 2;366(9487):726-32. ↑ The Young Practitioner by Oliver Wendell Holmes (A Valedictory Address delivered to the Graduating Class of the Bellevue Hospital College, March 2, 1871). ↑ 7.0 7.1 7.2 Fads and Quackery in Healing: An Analysis of the Foibles of the Healing Cults, with Essays on Various Other Peculiar Notions in the Health Field by Morris Fishbein (1932) Blue Ribbon Books, 382 pp. ↑ Fraser, Peter. "The Proving of Homoeopathic Remedies"
↑ Not to be confused with the real medical use of "succussion," which is used to detect fluid splashing in a cavity of the body. ↑ Specifically, within a few minutes the viscosity of the water turns the kinetic energy to a small amount of heat, which is then lost to the container's surroundings. It takes much more energy to induce a physical effect, such as an increase in rotational or vibrational energy level in the solution (and even more energy to induce a chemical effect). In short, any energy input will dissipate almost immediately with no consequence. ↑ "Storm" by Tim Minchin (lyrics, archived) – It's hilarious. ↑ Arsenic trioxide (As2O3) is an actual "ingredient" used in homeopathy. ↑ But you see, it is not that there is no results, it is just a very diluted result. which in turn proves homeopathy to be the most valid theory in existence. by evilbuddhist (reddit). ↑ I do not expect that homeopathy will ever be established as a legitimate form of treatment, but I do expect that it will continue to be popular. by James Randi ((BrainyQuote). ↑ Autonomous Bodies Government of India Ministry of Health & Family Welfare (archived from February 18, 2017). ↑ Mohanan M, Vera-Hernández M, Das V, et al. The Know-Do Gap in Quality of Health Care for Childhood Diarrhea and Pneumonia in Rural India. JAMA Pediatr. Published online February 16, 2015. doi:10.1001/jamapediatrics.2014.3445. ↑ Complementary and Alternative Medicine Treatments Among Stroke Patients in India by Jeyaraj Durai Pandian et al. Topics in Stroke Rehabilitation 2012 Sep-Oct;19(5):384-94. doi: 10.1310/tsr1905-384. ↑ FDA — Homeopathy: Real Medicine or Empty Promises? ↑ Homeopathy: Is it available on the NHS? ↑ Umstrittene "Therapie": Katholische Ärzte wollen Homosexuelle mit Homöopathie kurieren, Der Spiegel. ↑ 58.0 58.1 58.2 Paying Through the Nose by Sandra G. Boodman (January 31, 2006) The Washington Post. ↑ Zicam Cold Remedy Plus Oral Mist, Arctic Mint Flavor, 1 Fluid Ounce Amazon.com (archived from March 9, 2017). ↑ Arsenic toxicity from homeopathic treatment by D. Chakraborti et al. J. Toxicol. Clin. Toxicol. 2003;41(7):963-7. ↑ 61.0 61.1 61.2 61.3 Adverse Effects of Homeopathy: A Systematic Review of Published Case Reports and Case Series by P. Posadzki et al. Int. J. Clin. Pract. 2012;66(12):1178-1188. ↑ 62.0 62.1 62.2 Throw out homeopathic teething tablets with belladonna, FDA says by Susan Scutti (Updated 6:38 PM ET, Fri January 27, 2017) CNN. ↑ Hyland's homeopathic teething tablets recalled nationwide by Jacqueline Howard (Updated 6:11 PM ET, Fri April 14, 2017) CNN. ↑ Homeopathy couple jailed over daughter's death (Monday 28 September 2009 18.07 EDT) The Guardian. ↑ More Details Arise on Parents Charged with Homicide in Child’s Death (2015-06-11) Rocket-Courier. ↑ Classical Homeopathy - How are Homeopathic Remedies Made (archived from 31 Jul 2013 06:30:25 UTC). ↑ FDA Warns against Hyland's Homeopathic Teething Tablets, Stephen Barrett, M.D. ↑ 69.0 69.1 69.2 The silica hypothesis for homeopathy: physical chemistry by D. J. Anick DJ & J A. Ives (2007) Homeopathy Jul;96(3):189-95. DOI:10.1016/j.homp.2007.03.005. ↑ How does glass change over time? Medieval stained glass windows probably look the same today as they did the day they were made… interview with Michael Cima, Professor of Materials Science and Engineering and Faculty Director of the MIT Glass Lab (December 14, 2010) Ask an Engineer (MIT). This page was last modified on 21 April 2019, at 23:08.